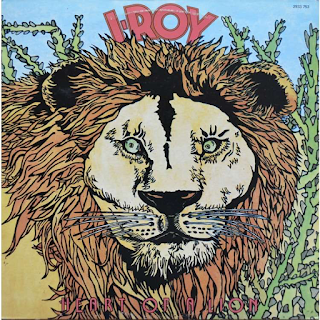 I-Roy was another of the great DJ/toasters who chanted/growled/semi-sung their lyrics over backing dub-style rhythms. His contemporaries were Prince Far I, Big Youth and U-Roy, to name but three from a burgeoning mid to late seventies genre. 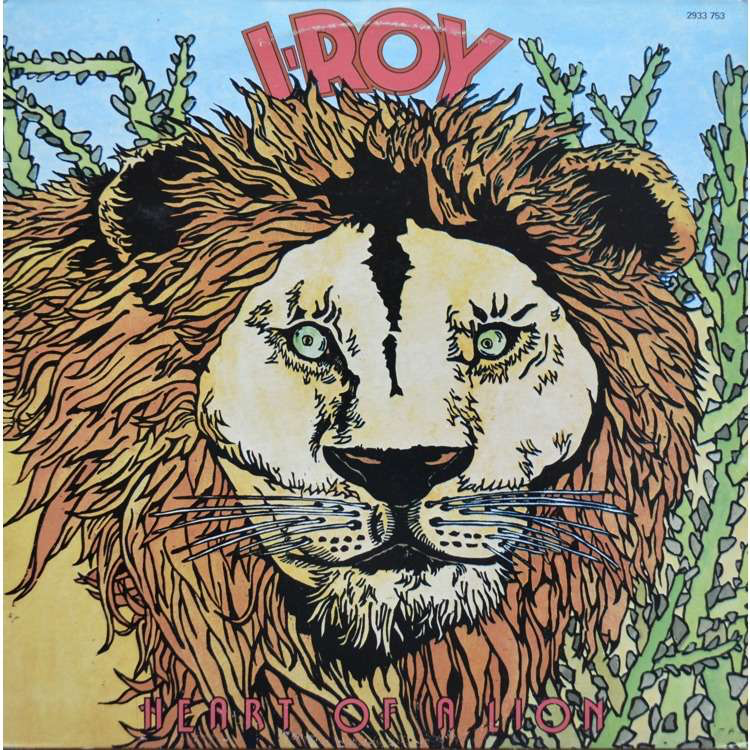 I-Roy’s toasting is more tuneful and easy on the ear than Prince Far I’s croaky, growling, deep spoken preaching. I Roy is semi-singing, his voice is higher in pitch and more mellifluous. He is far more similar to U-Roy, but with a more attractive, appealing voice. The title track has a fine vocal and some hypnotic rhythms. “Sister Nelly” is even more catchy - a lively, upbeat rhythm, great percussion licks and guitar chops and an authentic, convincing, singing-style vocal from I-Roy, with a “London Bridge is falling down” diversification in the lyrics. 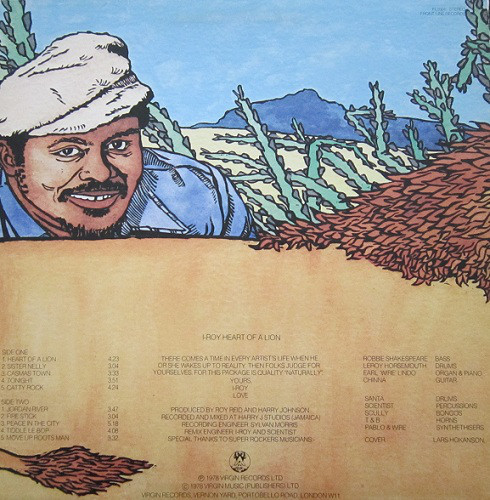 “Casmas Town” is a classic of the genre - packed of “riddim”, wonderful rim shots, skanking rhythms coming and going and an instinctive vocal that interacts perfectly with the music. I find I-Roy’s lyrics and delivery far less “fire and brimstone” and “preachy” than Prince Far I’s. His concerns are Rastafarian ones, but he diversifies considerably and rambles on about all manner of things (admittedly often incomprehensible!). Love is a subject he enjoys, unlike some of the more devout toasters. “Tonight” is a toasting love song, with another mesmeric rhythm and a superb deep and echoey vocal, at times, which was slightly different from his usual, lighter vocal. “Catty Rock” is marvellous, it has a marvellous, almost funky drum intro and a totally affecting tune. I just love this one. Best cut on the album. Stick this in a late seventies reggae playlist as an example of the toasting genre. I have to say I really like this album, playing it now, having not done so for a while is a pleasant surprise. “Jordan River” samples The Melodians’ “Rivers Of Babylon” to great effect. Some captivating rim shot and vocals slowed-down parts end it, impressively. “Fire Stick” is a slice of fervid Rasta devotional against a sparse, dubby backing with I-Roy improvising his vocals as he goes along. It has a catchiness to its rhythm, though. “Peace in The City” uses some patois lyrics that UB40, in particular, started to use in the eighties. “Tiddle Le Bop” is a pretty incomprehensible piece of Rasta praise, again over a cool rhythm. 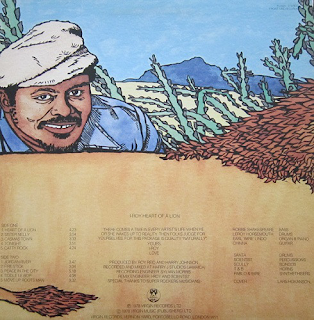 “Move Up Roots Man” is a lively end to a little-acknowledged but highly enjoyable album.